From the moment your smartphone sounds off its jovial alarm in the morning to the time you turn off your Ultra HD screen for the night before going to bed, your day consists of nonstop electronic usage. In modern day society, technology is used in virtually all aspects of life throughout the entirety of our days. Whether you’re a self-proclaimed techy with an arsenal of laptops and computers or wouldn’t know what to do without your favorite Netflix series playing your TV, your electronics are responsible for ensuring your days go efficiently and smoothly. Before you begin to pack up your collection of speakers and screens, you may want to first receive an appraisal for the total estimated cost of your goods’ value. If you no longer have receipts or can’t remember how much you invested in your equipment, request a value estimate for your electronics before moving. If hiring a professional service to transport your goods, you’ll receive the added security of knowing the worth of your possessions in case of damage during transportation. Right now, your electronics may appear as a neat and orderly arrangement, with cords and plugs in all of the proper places. However, it’s easy to forget exactly where necessary parts should go once they’re unplugged and you’re attempting to recreate your prior setup. Take pictures of your electronics before disassembling them. Focus specifically on items such as your desktop or computer because you’ll typically find that various cords are utilized and plugged into different spots of your screen and tower. Having a photograph of the correct arrangement saves you the added headache of wondering what goes where upon unpacking your materials. When you use the typical basic brown boxes to package your materials, you may easily forget which item is in which box. 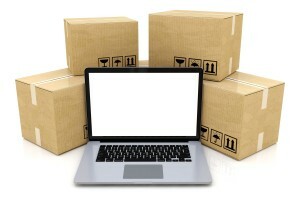 Using original packaging for electronics such as televisions, computers and gaming systems are ideal for guaranteeing certainty about where everything is located. If you no longer have the original packaging, be sure to label the boxes so you can easily find what you need. This can also help ensure your electronics stay safe — there won’t inadvertently be something heavy stacked on top of their box. Electronics are often delicate and cannot easily sustain the impact of being jostled around boxes and packages without extra padding. Consider purchasing bubble wrap or other packaging supplies to wrap your electronics with prior to placing them in moving boxes. Cloth and newspaper also act as a good buffer in between empty space that may cause your electronics to move around in their boxes during transport. Tape up boxes before loading them into your vehicle to guarantee no objects fall out as well. Once your electronics arrive at their new destination, you don’t want to waste time searching for them. Whether you need your TV hooked up right away for the big game or want to use your blue-tooth speakers while cleaning up your new home, you can avoid the headache of searching through every box before locating what you want by implementing a few organization tricks. Keep all accessories with their given product and label the contents of each box with a bold marker on the outside. Use color coordination to separate cords and cables, too. It’s never a good idea to leave electronics out in the cold or heat. When moving your them from one location to the next, it’s essential to keep this idea in mind because many electronics are often sensitive to temperature extremes. If you decide to move your electronics in the midst of a hot summer day or a freezing winter afternoon, it’s important to keep the vehicle transporting your appliances at a steady median temperature. Use insulated packaging materials to ensure your electronics stay safe and functioning. The best way to pack electronics is to keep things organized. Make a list of every item you packed away and where each appliance was placed. When you arrive at your new destination, you can merely check each item off the list as you unpack to guarantee everything arrived safe and sound — as it should. If you’re considering moving in the near future and need the extra assurance of certified transportation for your electronics and more, contact us today to set up an appointment or request a quote with Mid Atlantic Van Lines. We take care of your possessions so you can worry about what truly matters — getting to your next location.